The 2014-2018 International Program will focus on Launching New Dimensions of Service. 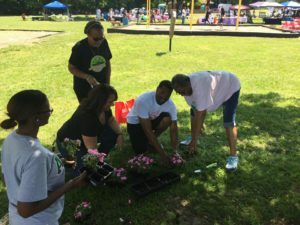 Members of Alpha Kappa Alpha Sorority, through its 265,000 members and 986 chapters, will have an opportunity to address community needs with programs in five target areas. Alpha Kappa Alpha Sorority will expand its community presence as a result of these targets, which include International Community Impact Days and our signature enrichment program, ASCEND, which stand for Achievement, Self-Awareness, Communication, Engagement, Networking and Development Skills. Pi Mu Omega Chapter maintains a highly visible presence through service and involvement within our service areas. The chapter has worked to implement various community service programs consistent with the International Programs and goals of the sorority. AKA Alarms – Annual donation of fire alarms to the Willingboro Fire Department to help raise awareness for the fire prevention (October). Sister Will You Help Me? 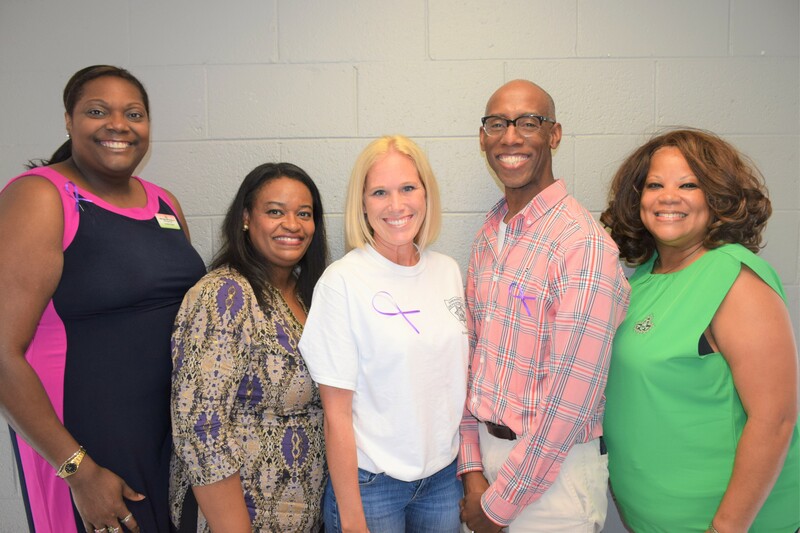 – Our chapter sponsors refreshments and participates in the Willingboro support group for survivors and current fighters against cancer (of all types). Sunday Supper – This is an annual day of service that is dedicated to spending time with our local senior citizens through fellowship and dinner provided by the chapter. Neighborhood Noel – Every Christmas season, Pi Mu Omega hosts a night of dinner and caroling for the local residents of Burlington City to help spread a little joy and cheer. #BlackLivesMatter forum – Pi Mu Omega collaborates with the local chapter of Kappa Alpha Psi and the Willingboro Police Department to expose the realities of recent interaction between police officers and young African American men in many communities across the country. Through several open forums, we hope to improve the relationship between law enforcement and residents. African American Read-In – The purpose of this well attended annual event is to celebrate African American authors. Every February, Pi Mu Omega invites community members to the Willingboro Public Library to share their love and appreciation for reading by sharing a few excerpts from their favorite African American author. Annual Martin Luther King, Jr. Breakfast – Pi Mu Omega holds this breakfast each year to honor Dr. King and those in the community that are doing exemplary community service. 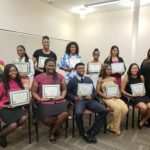 ASCEND℠ Mentoring Program – We take an active role in developing scholars and community leaders in high school-aged ladies through this signature program. Meet the Authors – Our chapter celebrates great authors by hosting an event where they share passages from their books with community members at the Willingboro Public Library. Relay for Life with the American Cancer Society – Members walk during the relay and raise money for cancer research.